MDFX – our metal frame system for evaporative cooling pads with tank-gutter –was presented on the market in 2016, arising much positive feedback from our customers. Today, less than two years after the first launch, our engineers introduce an interesting upgrade that will make the product even better. Mr Luca Piana (Product manager) explains how MDFX was born. “MDFX is the concrete result of a close collaboration between the Sales and R&D departments. This product completes the offer of our traditional gutter frame system in order to meet the new customers’ needs over the years. MDFX keeps the traditional metal structure, as in the MF system, but only in stainless steel. This choice makes the structure more robust and resistant, comparing both the PVC products available in the market or the Pluvimag version of the MF. From a pure technical point of view, this is a better product in terms of mechanical resistance and durability (resistant to chemical attack, high and low temperatures, etc.). The distinctive feature is its special lower gutter, which serves as a tank. This improved new system is easy to install, permits to avoid all costs related to external tank with additional pipes. Nowadays we have anyway realized that there was still room for improvement: MDFX could adapt even better to the customers’ needs and, in April 2018, was released a product upgrade. The first aspect that the company wanted to improve was its size. 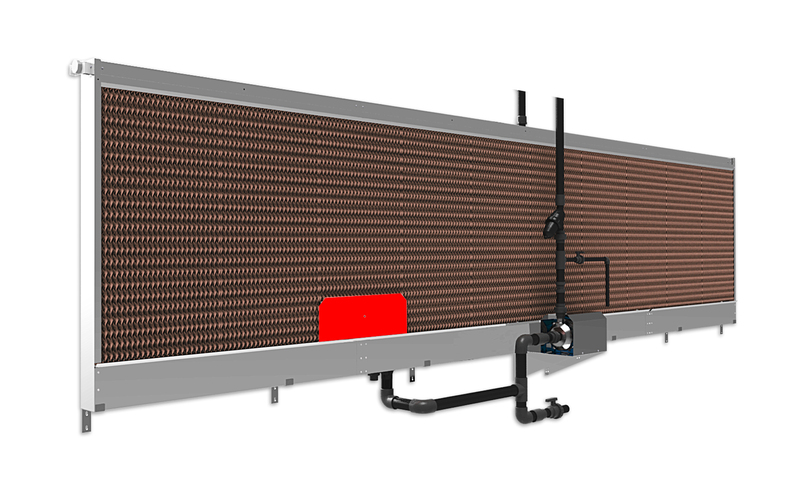 Our technical team has redesigned the pipes system that humidifies the evaporative panels in order to significantly reduce the overall dimensions. Less encumbrance, which turns into greater product versatility. MDFX is now able to adapt itself even in environments with reduced spaces and in every type of installation. 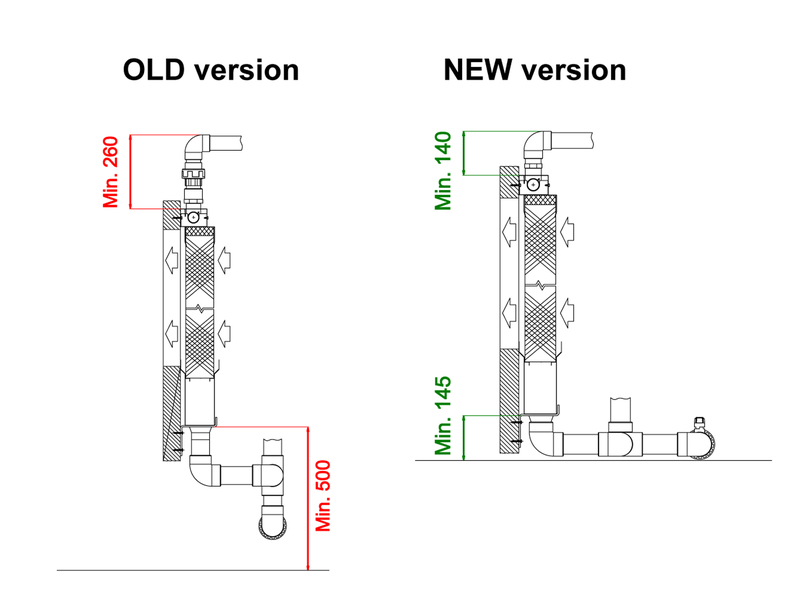 The second upgrade is the launch of GIK – Gutter Inspection Kit – to be installed in the lower gutter of MDFX at the water intake. This new feature undoubtedly makes the inspection of the floating valve simpler and consequently the maintenance and cleaning of the product. From April, all these new features will be included in all the incoming orders but GIK can be installed also on MDFX already purchased in the past upon request Termotecnica Pericoli offers a special retrofit kit.